The submitted regular manuscripts will be published in JNN, SAM, JBT, Thin Solid Film, PST, PREX and ASCT journals after peer reviews. In order to be included in the journals, at least one of the authors should attend the conference and make a presentation in the assigned session. The manuscripts should be prepared in MS-Word format. The deadline for submitting your manuscripts in this conference for all journals is the 31th of August 2018. The submission deadline for PST is extended to September 30, 2018. Please check the journal abstracting and indexing by yourself. 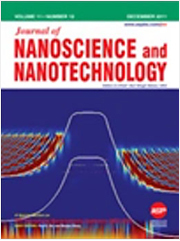 Journal of Nanoscience and Nanotechnology (JNN) is a multidisciplinary peer-reviewed journal with a wide-ranging coverage, consolidating research activities in all areas of nanoscience and nanotechnology into a single and unique reference source. JNN is the first cross-disciplinary journal to publish original full research articles, rapid communications of important new scientific and technological findings, timely state-of-the-art reviews with author's photo and short biography, and current research news encompassing the fundamental and applied research in all disciplines of science, engineering and medicine. Journal of Nanoscience and Nanotechnology (JNN) is a multidisciplinary peer-reviewed journal with a wide-ranging coverage, consolidating research activities in all areas of nanoscience and nanotechnology into a single and unique reference source. JNN is the first cross-disciplinary journal to publish original full research articles, rapid communications of important new scientific and technological findings, timely state-of-the-art reviews with author’s photo and short biography, and current research news encompassing the fundamental and applied research in all disciplines of science, engineering and medicine. Please prepare your manuscript according to standard Author Guide. Note: Please make sure that you indicate (1) your abstract submission number and (2) approved abstract number and (3) registration/payment information. Manuscripts submitted without those information will not be handled. All experimental and theoretical research aspects of advanced material with an interdisciplinary approach will be covered. Synthesis, fabrication, processing, spectroscopic characterization, physical properties, and applications of all kinds of inorganic and organic advanced materials including metals, semiconductors, superconductors, ceramics, glasses, ferroelectrics, low and high-k dielectrics, sol-gel materials, liquid crystals, organic materials, polymers, electronic and photonic materials, catalysts, biomaterials, nanostructured materials, confined systems, supramolecular and self-asemblies, low-dimensional materials, magnetic materials, etc., their applications in next generation of electronic, photonic and biological devices, energy storage and conversion technologies, theoretical and computational aspects. 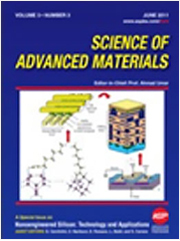 Science of Advanced Materials (SAM) is an interdisciplinary peer-reviewed journal consolidating research activities in all aspects of advanced materials in the fields of science, engineering and medicine into a single and unique reference source. SAM provides the means for materials scientists, chemists, physicists, biologists, engineers, ceramicists, metallurgists, theoreticians and technocrats to publish original research articles as reviews with author’s photo and short biography, full research articles and communications of important new scientific and technological findings, encompassing the fundamental and applied research in all latest aspects of advanced materials. 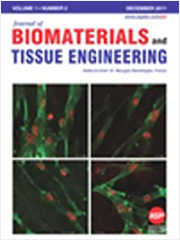 The journal focuses on the broad spectrum of research topics regarding theoretical and experimental aspects of biomaterials and tissue engineering including polymeric biomaterials, metallic biomaterials, ceramic biomaterials, composites, biomimetics, biomolecular assembly, nanobiomaterials, synthesis, characterization, chemical, physical, mechanical, biological and toxicological properties, byproducts, bioimplants and medical devices, biofilms, bioimaging, BioMEMS/NEMS, biosensors, performance of biomaterials, physiology and pathology, biomechanics, biological microarrays, surface functionalization, fibers, tissue scaffolds, porous biomaterials, combinatorial gradients, micro-/nanofabrication systems, cell patterning, cellular microenvironments, stem cell engineering, tissue engineering and modeling, artificial organs, hard and soft tissue applications, tissue interfaces, interactions between biomaterials, blood, cells, tissues, and organs, DNA technology, protein and drug delivery, gene delivery, molecular therapy, molecular biopharmaceutics, drug screening and delivery systems, polymeric drugs and polymeric drug conjugates, prodrugs, and medical nanotechnology related to the molecular design concepts, synthesis, production, characterization, nanomedecine as diagnostics and therapeutics tools, treatment of all types of diseases, regenerative medicine and nanomedicine, clinical performance, medical and clinical evaluation of drugs and delivery systems in vitro and in vivo. Journal of Biomaterials and Tissue Engineering (JBT) is being created as an international peer-reviewed journal that covers all aspects of biomaterials, tissue engineering and regenerative medicine. The journal has been developed to create a new forum of scientific publications at the interface of biomaterials, tissue engineering and drug delivery research. JBT publishes original rapid communications, full research papers and timely state-of-the-art reviews (with author's photo and biography) encompassing the fundamental and applied research in the fields of biomaterials, tissue engineering and regenerative medicine. Rapid communications on new findings with breakthrough results will be considered for accelerated publication. 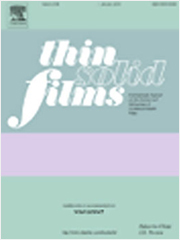 The journal also publishes thematic special issues featuring selected peer-reviewed research papers from major conferences in the related disciplines. • Accepted papers for ICMAP 2018 proceedings will be published in the online form of Virtual Special Issue(VSI) with no hard copy version for faster processing. VSI is an online-only grouping of Special Issue articles traditionally assigned to a single Special Issue. Each article in a VSI is assigned a unique identifier and then published in a regular journal issue as soon as available. The unique identifier allows us to simultaneously add the article to a VSI on ScienceDirect which is gradually built up as individual articles are published online. Articles grouped together in a VSI retain their original citation details. 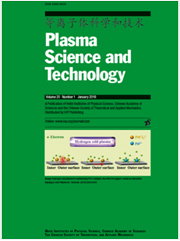 Plasma Science and Technology is an international journal published in China by the Institute of Plasma Physics, CAS and the Chinese Society of Theoretical and Applied Mechanics. It is distributed outside China and published online by IOP Publishing. PST solicits strong manuscripts, as Research Letters, Research Articles, and Topical Review Articles, to be refereed to join a growing number of reports of increasing influence in this field. Plasma Science and Technology (PST) journal assists in advancing plasma science and technology by reporting important, novel, helpful and thought-provoking progress in this strongly multidisciplinary and interdisciplinary field, in a timely manner. This field encompasses foundational plasma phenomena; low-temperature plasmas; magnetically confined plasmas; inertially confined plasmas; astrophysics and space plasmas; and interdisciplinary science of these; and the engineering and technology development and application from them. PST journal began publication in December 1999, the journal is sponsored jointly by the Institute of Plasma Physics of the Chinese Academy of Sciences, and the Chinese Society of Theoretical and Applied Mechanics. The journal joined the Science Citation Index in 2003, the Engineering Index in 2006, and became published online by IOP Publishing Ltd. in 2006. PST solicits strong manuscripts, as Letters, Articles, and Topical Reviews, to be referred to join a growing number of reports of increasing influence in this field. 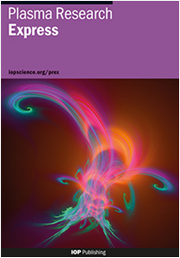 Plasma Research Express is a broad, multidisciplinary journal devoted to publishing new experimental and theoretical research covering all areas of fundamental, engineering and applied plasma science at low and high temperatures. PREX welcome contributions reporting the underlying physics mechanism and their wide implications through the viewpoint of plasma science to connect the interdisciplinary applications of a wide range of temperature and density of plasmas. Authors are encouraged to submit scientific papers of the work presented in the ICMAP2018/APCPST2018/ISPB2018 to a new journal by Institute of Physics(IOP). Representing a new addition to IOP's world-leading plasmas portfolio, Plasma Research Express (PREX) is a broad, multidisciplinary journal devoted to publishing new experimental and theoretical research covering all areas of fundamental, engineering and applied plasma science at low and high temperatures. "Plasma Research Express is aimed at all plasma scientists, in all parts of the world and will build upon the world leading reputation IOP Publishing already has in plasma physics. Through the viewpoint of plasma science the journal's multidisciplinary coverage will reflect the complete breadth of how research in the field now intersects with the physics, astrophysics, materials, chemistry, biomedical and engineering communities. 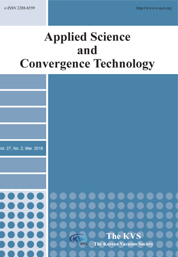 Applied Science and Convergence Technology, (ASCT, e-ISSN 2288-6559) is an international peer-reviewed online journal publishing research articles. It aims to enhance the knowledge of vacuum and related science & technologies by providing research information with easy access via web. ASCT has six major fields: vacuum technology, surface and interface science, plasma and display, semiconductors and thin films, nano and biointerface, and energy technology. It was first issued by the Korean Vacuum Society in 1992 under the name of Journal of Korean Vacuum Science & Technology (JKVST). ASCT is the continued on-line journal of the JKVST since 2014. It is listed as a top prestigious journal of Korea Research Foundation. ASCT accepts research paper, review paper, rapid communications, brief reports and technical notes. It publishes articles immediately after the review process if manuscript is determined as acceptance. All articles must be submitted via online manuscript submission system (http://www.e-asct.org) and peer review is also done electronically. All of submitted manuscripts should be written in English. The official title of the journal is Applied Science and Convergence Technology and its abbreviation is ASCT. Submission is open to any researcher who deals the subject in the above-mentioned six major fields.